Industry-Institute Collaborations In Analytics Education — Do They Work? The rising demand for data and analytics professionals has been well-documented. Recognising this growing need for business-focused, data-oriented analytics programs, private analytics training institutes or data science training institutes in India have developed cutting-edge programs in close partnership with industry leaders such as IBM, Genpact, Tech Mahindra and SAS, among others. This kind of model is dubbed as e-learning and is aimed at the B2C and B2B market. 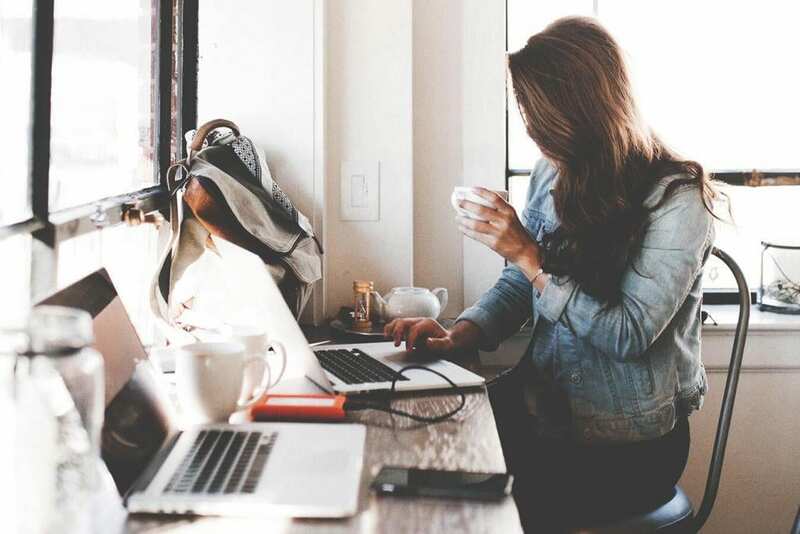 The self-paced courses offer a blended learning experience and are targeted at working professionals who want to pivot to this lucrative field. These programs meet the rising demand for data analysts and data scientists. Mostly a year-long, online program, they give working students a chance to upskill and an opportunity to be mentored by industry veterans. Foreign universities find Indian edtech ventures delivering data science courses a tempting prospect. India is the second largest market for e-learning after the US. The executive education market in India is expected to clock ₹10.9 billion by 2020. Renowned American universities are tying up with Indian edtech platforms – a move that enables Universities to break into the Indian market and reach a higher pool of students who want access to high quality education. Legacy tech giants IBM and Genpact are the forerunners in collaborative learning model that also leads to enhanced industry linkage and superior analytics capabilities. IBM has 50 partner colleges as part of their Career Education Program. The Armonk tech titan has set up Software Capability Lab and has added a broad layer of business analytics skills to every management course. Through the tie-up, IBM has set up Business Analytics Lab in the college premises and equipped it with the relevant IBM Software. IBM Subject Matter Experts also train the faculty members and students to understand the application of analytics in business. Genpact runs a Risk Academy for its more than 2,000 risk management professionals, and partners with the Global Association of Risk Professionals (GARP) to include industry-leading certifications and co-developed assessments as part of an intensive ongoing learning and development curriculum. The global leader in digitally powered business process management has been making the Indian talent pool more industry-ready with MoUs with leading India’s premier B-schools and universities. Genpact teamed up with Jadavpur University to develop an Analytics and Research program that will be offered in the Masters in Economics course. Genpact also announced a MoU with ICFAI Business School (IBS), Hyderabad to develop an analytics and research program for its students. 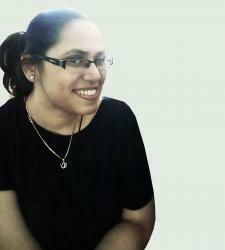 Genpact also teamed up with IMT Ghaziabad to develop and implement analytics elective for their two year PGDM program. 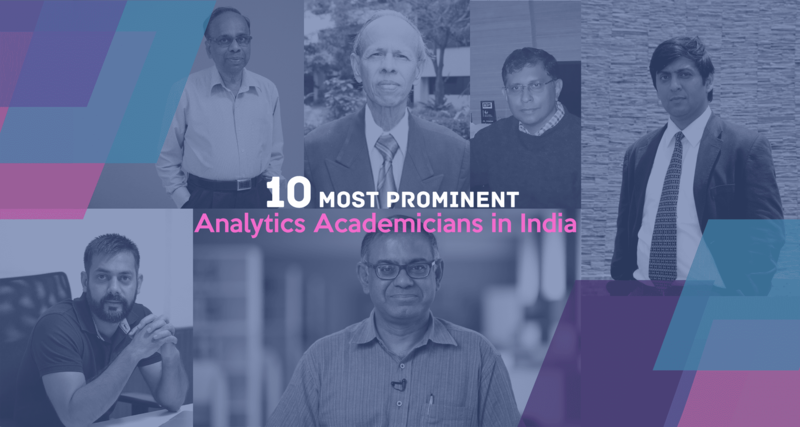 SAS India Academic Program is another example of premier Indian B-schools such as IIM-L, IIM-B, ISB, NMIMS and Welingkar among others collaborating with SAS India for advancing business analytics training and co-designing course content. The courses are technology driven and students get hands-on experience on working on SAS software. Leading analytics vendors have strategies and talent acquisition programs in place to acquire top talent and tackle the talent crunch in IT by partnering with top colleges and universities. By tapping into colleges and universities, companies ensure a steady pool of industry ready L1 talent. Several colleges, universities and premier B-schools in India lack the essential lab infrastructure, teaching talent and the right curricula to deliver analytics education. Educational institutes haven’t been able to raise the bar in meeting industry demands. By partnering with institutes, analytics vendors create training programs for niche skills and also provide customised learning avenues. The industry-institute program leverage proprietary software and exposes students to a broad suite of analytics solutions. This in turn helps students gain rich experience with the tools, business applications and the latest industry trends. Internally, companies such as SAP and Microsoft run training programs that promote innovative thinking, skill or role-based training. According to a LinkedIn report, statistical analysis and data mining are some of the top skill sets needed in the coming years. A World Economic Forum report, titled Future of Jobs, advances in computing power and big data will be the biggest driver of technological change. The AICTE study from last year has set the alarm bells ringing across the country. In order to stem the skill gap, the Ministry of Human Resource Development is planning a massive rehaul of engineering education in India. The government proposed a single Entrance Examination for Technical Institutions from January 2018, besides mandating induction training to enrolled students and asking for an annual revision of curriculum. NEET will be a computer-based test and will be conducted from December 2017-January 2018, followed by another one in March 2018 and on May 2018. Recently, the Government of India and the World Bank signed a US$ 201.50 million International Development Association (IDA) credit agreement for the Third Technical Education Quality Improvement Programme (TEQIP III), aimed at improving the efficiency, quality and equity of engineering education across several focus states. 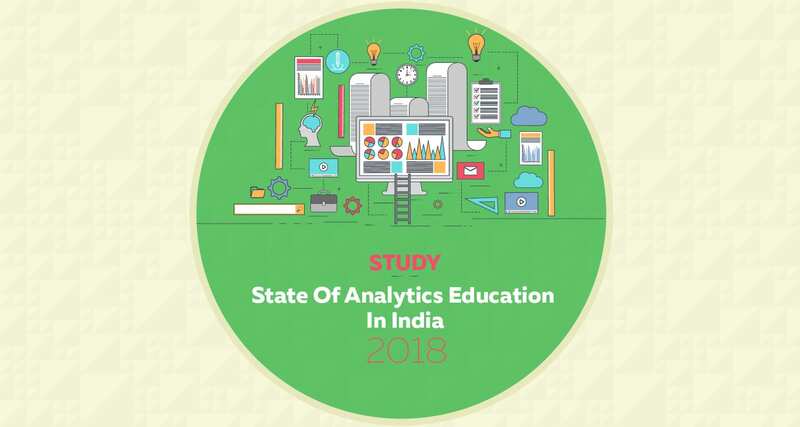 Like other sectors, India’s education sector needs to undergo a massive revamp where leading IT players can play a key role in developing and deploying business-focused analytics education. To achieve this skills evolution, different stakeholders have to come together to develop a proactive skill-building program. Also, international universities who want to participate in high-growth market can also develop relevant courses to address the demand-supply gap in the analytics sector. Leading analytics vendors must align the talent agenda at university level and foster a research environment through grants. Data and analytics education requires an interplay between public and private institutes and enterprises. Through university partnerships, enterprises can build an entirely new approach to talent management and coach students in their proprietary software. The Government has proposed several steps such as opening more IITs and IIMs in new locations and handing out educational grants to research scholars. Surveys should be carried out to map the sectors for high growth areas and effectively identify job redundancies. 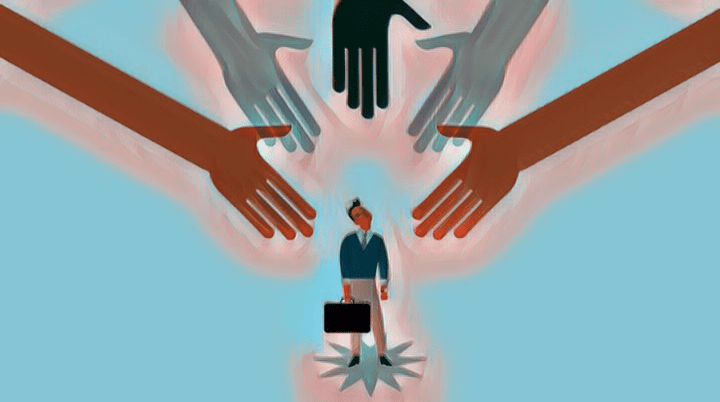 This will help in developing talent repurposing strategies and bolster workforce management. Policies must also be established to benchmark graduating talent that is added to the pipeline. The significant churn in the IT landscape signals significant re-skilling is required in the market. Data from Ministry of Human Resources Development reveals India is home to 6,214 engineering and technology institutions. Eight lakh students pass out of these institutions each year, but only 40 percent are able to get employed, the AICTE study indicated. We need to build a workforce with futureproof skills in data and analytics. Our survey indicated that big data analytics will lead to high employment growth across a wide range of industries and there is a renewed demand for data analysis skill in media, entertainment and information as well. Here’s our observation: there is a variety of program offerings from private players, top B-schools and institutes. But, there is no set way to define the skillset of an analytics graduate. Most companies need data-savvy managers or data analysts who are good at number-crunching and communicating the findings to top brass. Majority of learners come from an IT background and have this skillset [ETL, Hadoop etc.] and want to upgrade to analytical skills [cluster analysis, text mining, data management etc.]. Our second observation is that analytical concentration in MBA programs are intended to help learners understand how to make decisions with data. These concentrations are geared more towards BI and visualisation, less on the technical end and have a business edge to it. Aimed at the top level executives who have to wrestle with data-driven decisions. Students from a STEM background with a background in statistics usually lean towards quantitative analysis and go on to become data scientists. Participants usually come from an engineering, IT and related discipline. Their responsibilities range from anticipating shifting consumer behavior, and how to translate into new product offerings to accelerating sales.